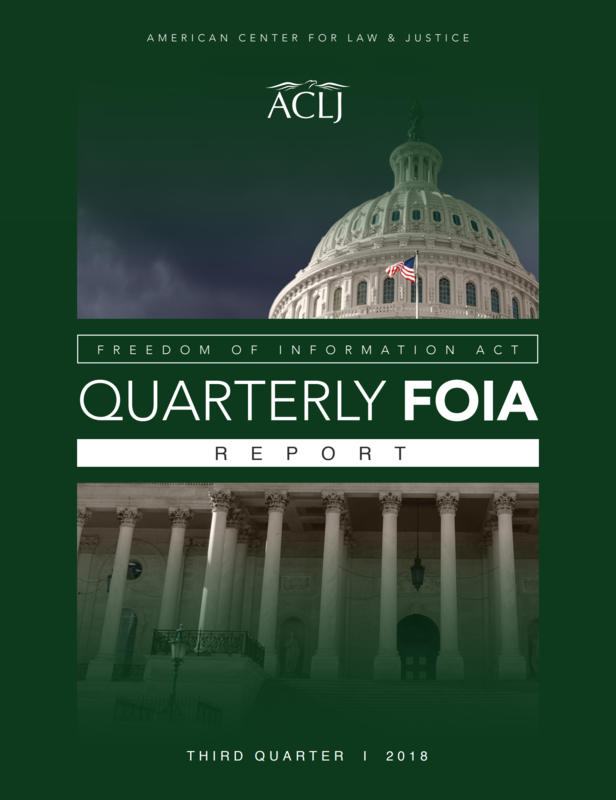 The ACLJ's Government Accountability Project is fighting to uncover corruption and lawlessness in the Deep State Bureaucracy. This is a report on our prior findings that we've delivered to Congress. FOIA Request to Dept. of State for Records Regarding UNRWA Funding "Palestinian Refugees"
Is Former President Jimmy Carter’s Carter Center Illegally Using Our Tax Dollars to Fund Anti-Israel Terrorists? ACLJ Demands Answers: Did the Obama Administration Give Hezbollah a Pass? Rebecca Stewart Email "FW: TV Clips: AG Community Policing Trip to LA"